Burning hookah tobacco creates a byproduct that’s believed to cause lung cancer and heart disease, according to a San Diego State University study released Monday. 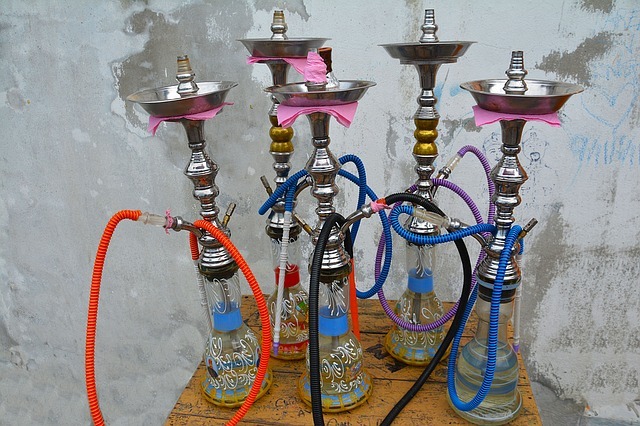 A metabolite of the chemical compound acrolein, called 3-HPMA, was found in the urine of 105 hookah smokers and 103 non-smokers exposed to secondhand smoke at indoor events where hookah tobacco was smoked exclusively, said researchers in the SDSU Center for Behavioral Epidemiology and Community Health. In the American Cancer Society-funded study, participants provided urine samples the morning of — and the morning after — attending the event. “We found that after spending an average of three hours at a hookah party, the levels of 3-HPMA in urine increased by an average of nearly 1.5 times in both those smoking hookah and those simply attending the event without smoking hookah,” said Nada Kassem, lead author of the study, published in the journal Nicotine and Tobacco Research. Hookah has gained in popularity in recent years. Users inhale smoke that’s generated by heating hookah tobacco fermented with molasses and fruits, and combined with burning charcoal. The smoke passes through a partially filled water jar. Kassem is part of an SDSU team that researches the impacts of secondhand and thirdhand smoke. She has specifically investigated hookah smoke for several years. 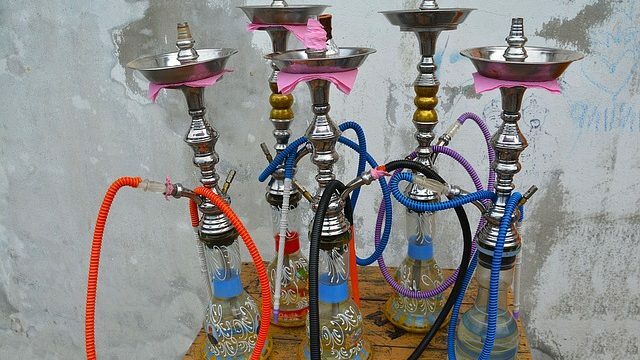 Three years ago, she published a study which found that people exposed to hookah smoke registered higher-than-normal levels of benzene, a chemical compound linked to leukemia. Kassem has been awarded a $1.4 million grant from the National Institutes of Health to further research the dangers of hookah smoke and is currently in the process of collecting more data.